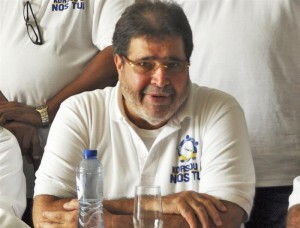 WILLEMSTAD - Amparo Dos Santos is the most absent Member of Parliament in the third quarter. Again, because since the election, he is at the top of the absentee list every quarter. Of the nine meetings, the faction leader of Kòrsou di Nos Tur was present at only four. The list is presented to the community every quarter to show the voters how their representatives are working. This was an initiative from the current President of Parliament William Millerson.